Puzzle Spring adventure Help fairy Spring to defeat evil witch and bring spring to a fairy land. 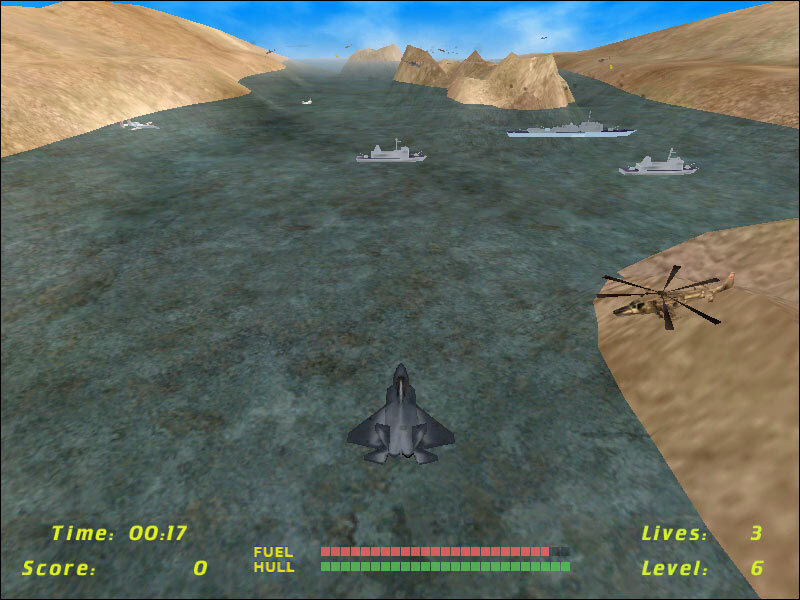 Air Assault is a classic arcade-style scrolling shooter game. Control your helicopter, destroy enemies, enjoy the game. 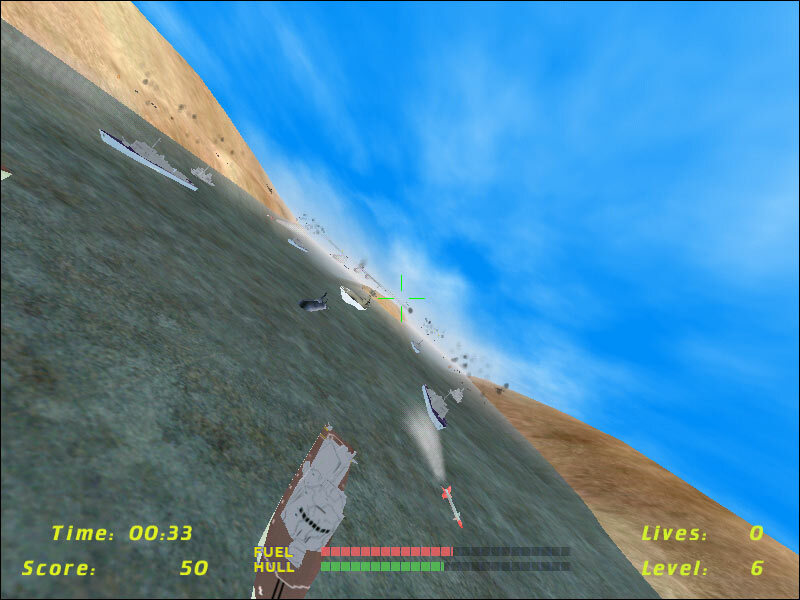 River Raider for Mac OS X released. a new puzlle for the whole family. Updated! is not simply the next 3D River Raid. An exciting puzzle game for the whole family. Thrilling real time strategic game (RTS). BrixFormer puzzle is a package of 8 brilliant logical and puzzle games. Now free. Most accurate remake of classical game Lode Runner. Now free. is not simply the next 3D River Raid. 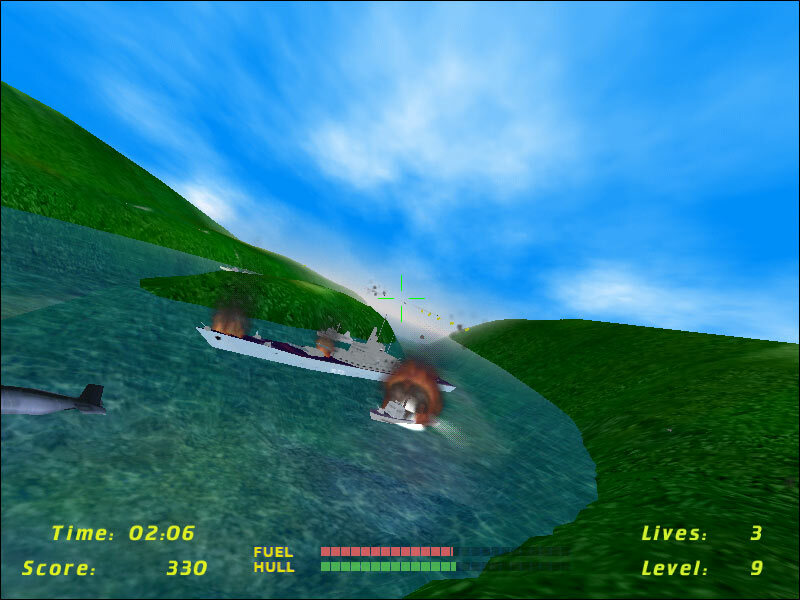 3D River Raider II is not only the next alteration of popular game River Raid but also a game that combines traditional style of River Raid, large amount of innovations in a game play and in special effects. A lot of options that allow to receive the maximum joy from the game. For each mission you can choose F-22 or F-18 planes with different and unique capabilities. Also you can choose AH-64 Apache helicopter. In the full version you will find 50 highly detailed and worked over river raid missions with various landscapes and big amount of enemies. Among your enemies you will find planes, helicopters, ships, submarines, and ground environment of air defense. On the ground you will clash with hostile foundations, warehouses, airfields, single constructions, settlements and many other things. You can switch your camera to the top view (as in classical River Raid) or to the extended view. The TameStorm team has spent a lot of time to develop levels, interface, sound effects and other things for your pleasure. Try our free demo version and you will definitely enjoy it. Good luck! Have a mad river raid! What makes "River Raid" so addictive? Even today, as video games take on the ultimate in 3D realism, and can often have a multimillion dollar production cost, classic games like River Raid are enjoyed by a new generation of video game enthusiasts. Are there any modern games out there that capture the essence of River Raid? River Raid is one of the all time classics published by Activision in the early 1980's during the peak of the video game revolution. It was created by Carol Shaw, the first female video game programmer. 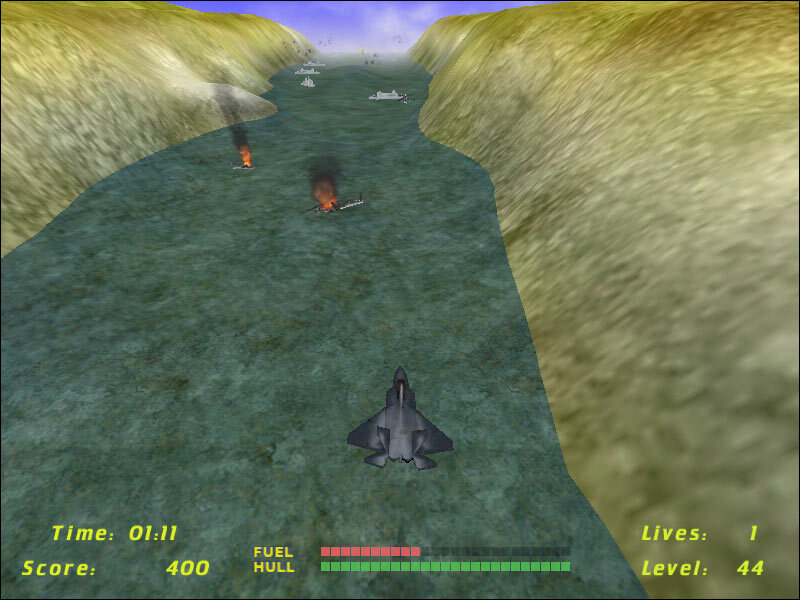 The objective of the game was to navigate a river without crashing into the canyon walls, while shooting and avoiding enemies, and refueling your plane by flying over fuel tanks. The landscape was the same every game, and so was the placement of the enemies. There was some variety in the timing of the enemies, which would make the game unpredicatble to some degree. What made the game so challenging was the intensity brought forth by enemies constantly approaching from the left, right, or in front of the player. There were only two choices: either shoot the enemy vessels, or try to avoid them. To add to the intensity, you also had to refuel occasionally to keep from falling into the river. So is there a modern version of this game out there? 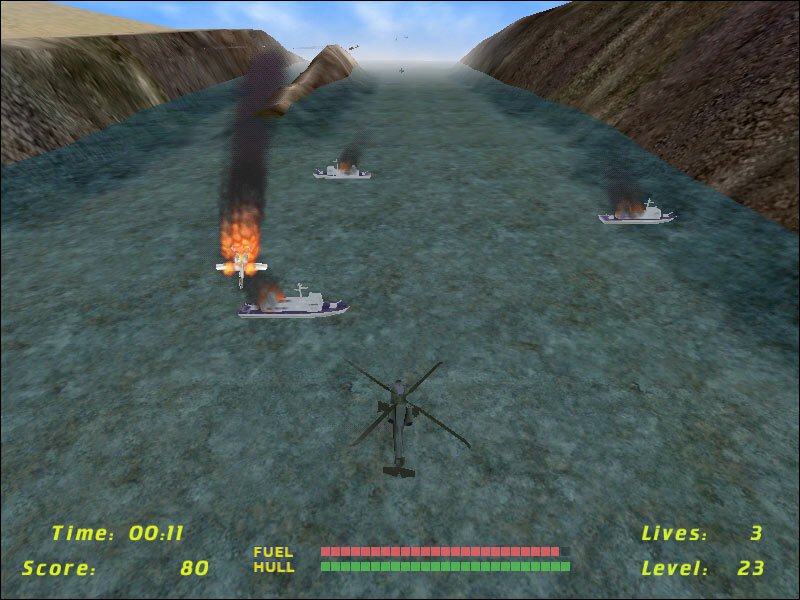 The answer is yes, there are several games that used River Raid as inspiration. 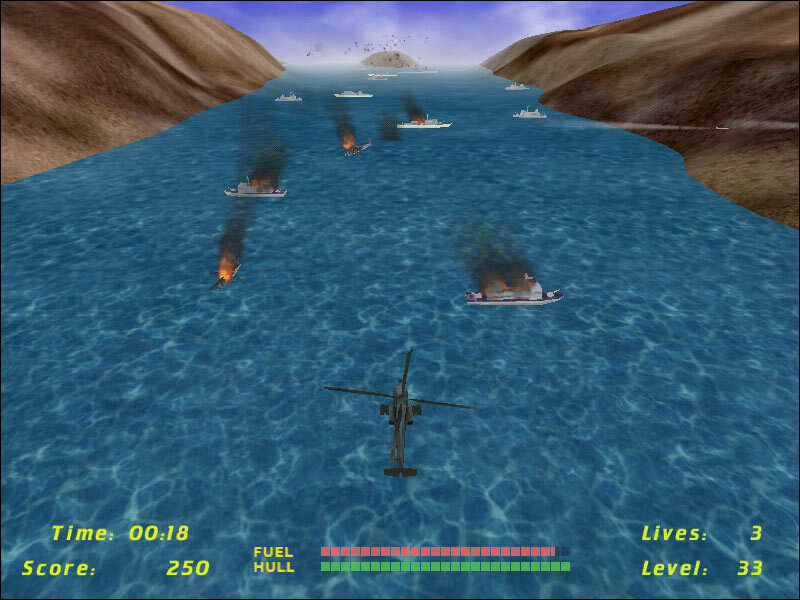 One such game is River Raider, which has all the elements of River Raid. 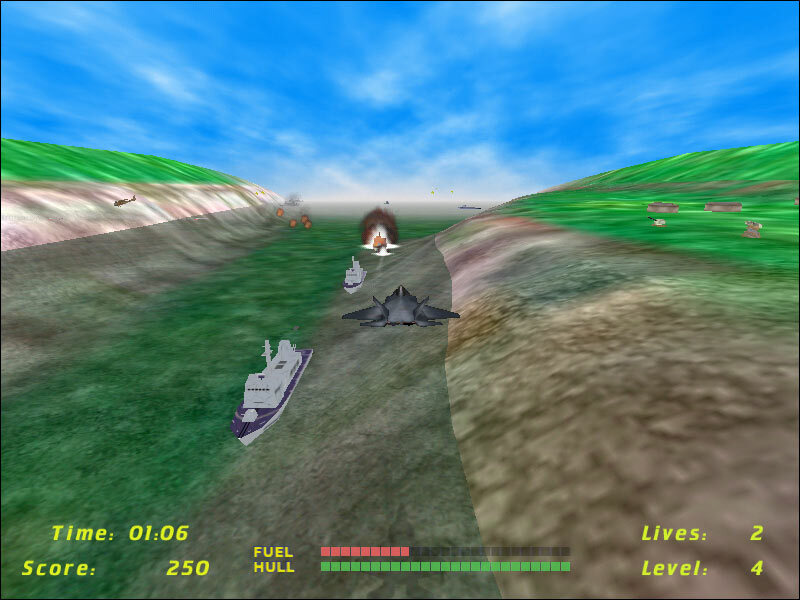 Like River Raid, River Raider has enemies approaching from all directions, and requires the player to refuel periodically. The maze like navigation of River Raid is also apperent in River Raider. 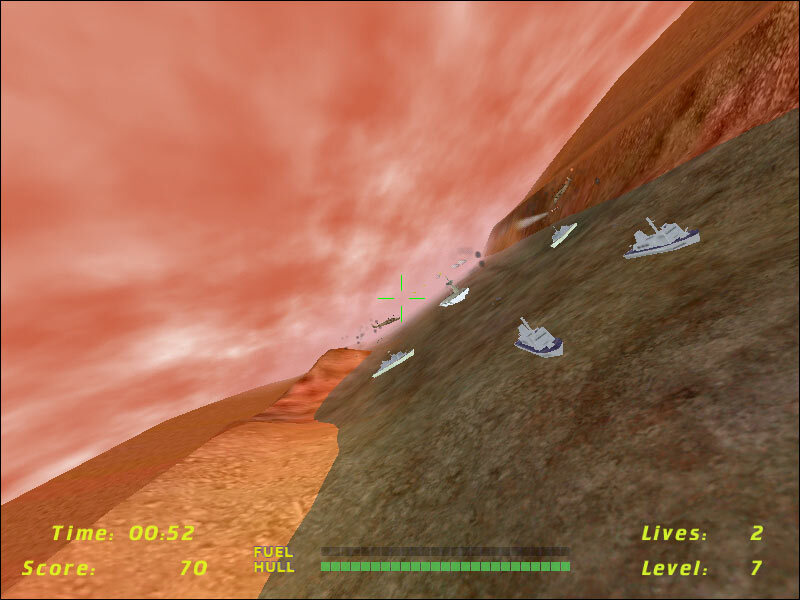 River Raider manages to duplicate the feel of "River Raid", but with the addition of some nice graphics, and a 3D enviroment. Many games try to emulate a classic 2D game in 3D and fail because along the way the game makers forget what made the original game great. I can assure you, this did not happen with River Raider. 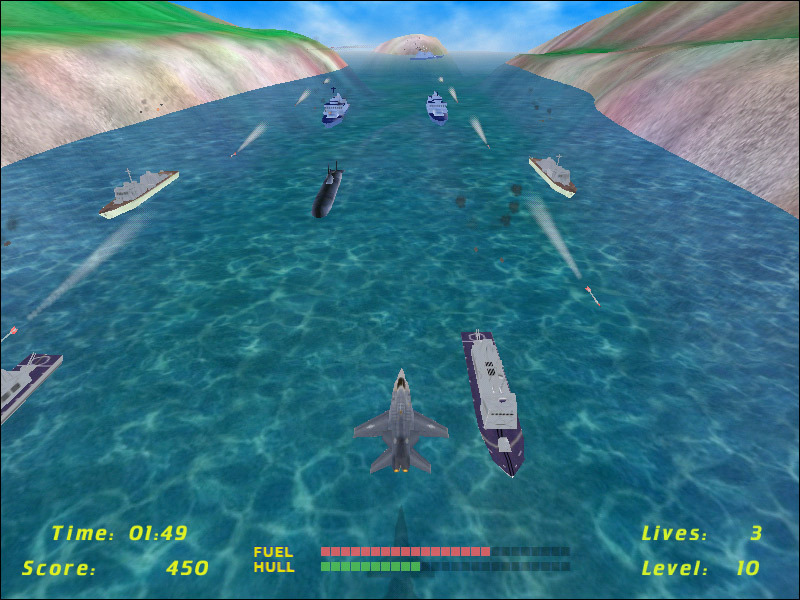 From the screen shots above, you may notice that the game resembles River Raid. Another game that has some resemblence to River Raid is River Raider II. Detailed 3D landscape, 3 units to fly by and many other options makes this game very addictive and bring real enjoy of River Raid. Though River Raid is one of the true classics, you may find that River Raider and River Raider II will conjure all memories of River Raid, and create some new ones that can only be realized with the blazing speed of modern microprocessors. Copyright � 2002-2018, TameStorm Games: shareware games developer. All Rights Reserved.